Combining old garden rose form and fragrance with modern day disease resistance, David Austin Roses are the best of the best. There are three new introductions for 2016 which are available for order now to arrive bare-root in January (read how plant roses from bare-root or you can watch a video of the process). Combining old garden rose form and fragrance with modern day disease resistance, David Austin Roses are the best of the best. There are three new introductions for 2016 which are available for order now to arrive bare-root next month (read how plant roses from bare-root or you can watch a video of the process). This is a landmark introduction: soft pink and achingly beautiful. It produces masses of blooms over an exceptionally long bloom season that starts three full weeks ahead of other English roses and continues till frost. 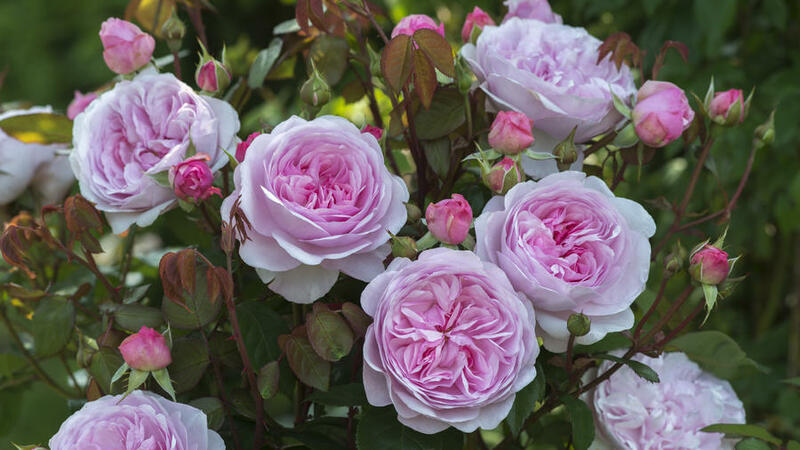 The soft pink flowers have an old rose formation that opens to a lovely cupped rosette. The medium-strong fragrance has distinctly fruity tints. We’re in love. This is David Austin’s first yellow intro since ‘Charles Darwin’ in 2003. Michael Marriot, Austin’s technical director and senior rosarian, explains, “Yellow roses with a fine flower, strong fragrance, repeat bloom, true garden strength and excellent disease-resistance are very difficult to breed, making them rare indeed.” It blooms abundantly from early summer until frost, and—get this—the team considers this variety to be among the most fragrant English roses. This repeat-blooming rambler fragrant blush pink flowers and grows up to 10 feet to 15 feet tall—perfect for growing on an arch, wall, trellis, or as a small tree. Semi-double blooms smell citrusy, and flowers will keep coming from summer until frost. I’m thinking this one has a spot secured for itself in Sunset’s new test garden.